For 35th consecutive year, the mushroom feast is taking place in Taxiarchis, a traditional mountain village located in the heart of Mount Holomontas. Local people are inviting friends and visitors to join them celebrate one of the most precious local delights, the mushrooms. Besides music and dancing, guests will have the opportunity to taste traditional mushroom dishes like mushroom pies and fried mushrooms! 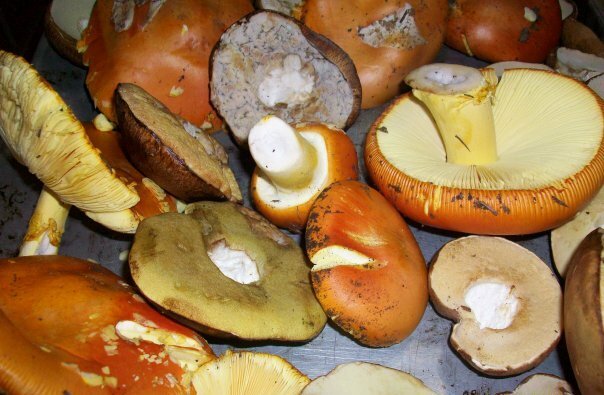 Mushrooms grow in abundance on the highlands of Halkidiki: Caesar’s mushrooms, kind boletes and wild truffles, among many others, are collected and used in traditional recipes such as mushroom pie with cheese. The area is also a paradise for wild herbs and healing plants: bloodwort, elder, rosemary, eucalyptus, thyme, oregano, thistle, bay, mint, ironwort and lemon balm are just a few of the plants that grow there.